Located in downtown Wichita Falls, Church of the Good Shepherd is an Anglican church founded in 1884. 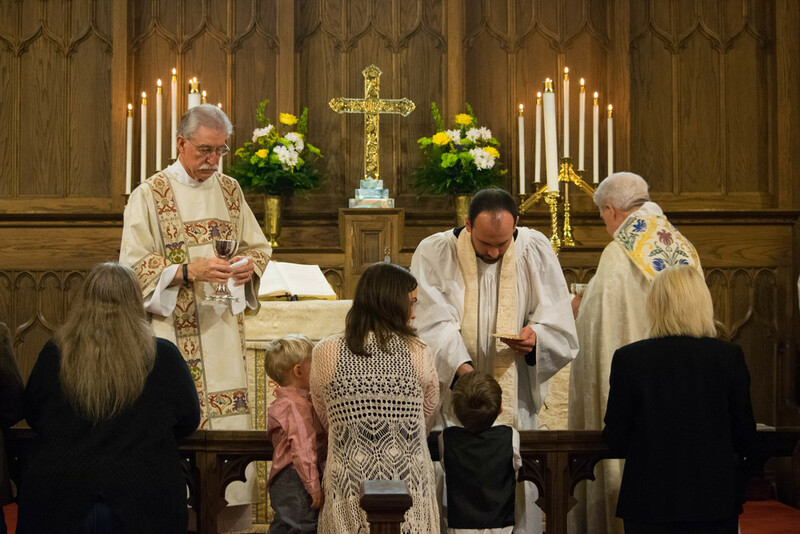 Church of the Good Shepherd– a member of the Episcopal Diocese of Fort Worth- brings together people in a variety of life stages to live the liturgical life in community, and seeks to live her faith out through Worship, Intergenerational Christian Education, Parish Ministry and Stewardship. We hope to enable our parishioners to grow spiritually through a process of first coming and reflecting at church, then listening and growing in the knowledge and love of God, and finally going and caring for our church and our neighbors, locally and globally. Church of the Good Shepherd is more than just a beautiful building – it's a loving, welcoming community. As we build our community, we are intentional about living out through the week the faith we practice on Sunday mornings. Deacon Bill reads the Gospel from the aisle. Parishioners sit listening to a sermon. Our organist, cantors, choir and bell choir bring a breadth of the classical sacred music tradition into our worship with hymns, psalms and other service music. 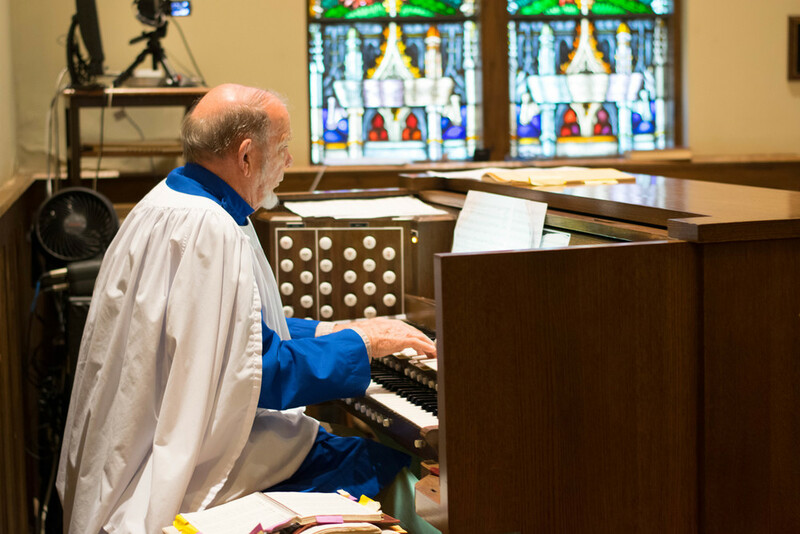 We believe the music we hear should be as beautiful and classic as the visual art that surrounds us in the church's architecture, and we are so grateful for our musicians who enhance the beauty we experience on Sunday mornings with their gift of song. At Church of the Good Shepherd, we believe that community at its best shouldn't be isolated- it should be involved. That's why we are proud to call Downtown Wichita Falls our neighborhood. We serve our neighborhood throughout the year by contributing to Interfaith Ministry, located just down the street from us, as their needs are made known to us. And we bring fun to our neighborhood during events like our famous annual Election Day Bazaar. Image of Wichita Falls skyline by Justin Cozart from Dallas, via Wikimedia Commons.